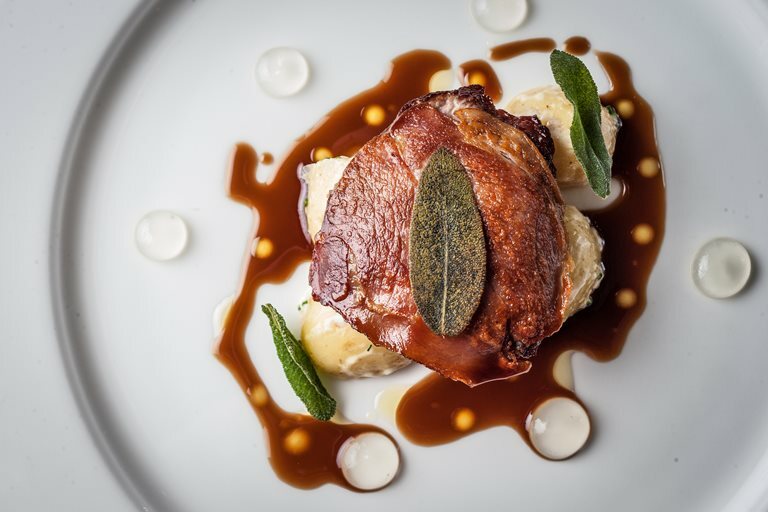 This classic Italian dish is re-imagined in Russell Brown's recipe, with the combination of veal, prosciutto and sage served with a wholesome potato salad and a sprightly lemon gel. Using British rose veal ensures that calves have been raised to the highest welfare standards. As Russell explains, he has always been inspired by Italian cuisine: "My cooking is hugely influenced by Italian cuisine. The whole idea of simple seasonal food where the ingredient is king captured my imagination. There has been much written about Italian food and there are some amazing Italian restaurants in this country. Zafferano, Locanda Locatelli, Theo Randall and Zucca in Bermondsey have all inspired me over the years along with a plethora of food and travel writing."